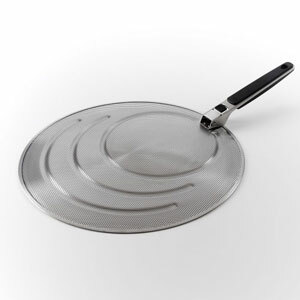 The OXO Good Grips Small Flip & Fold Omelet Turner has the ideal shape for making the perfect omelet, and is sized to fit 8" or other small pans. 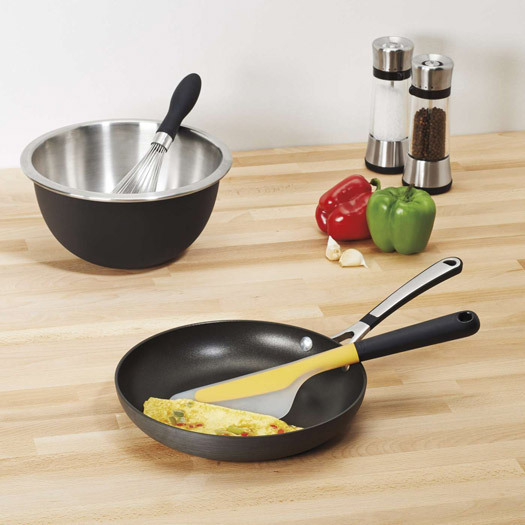 The flexible head and edges conform to rounded pans, allowing the Turner to easily glide under the entire omelet. 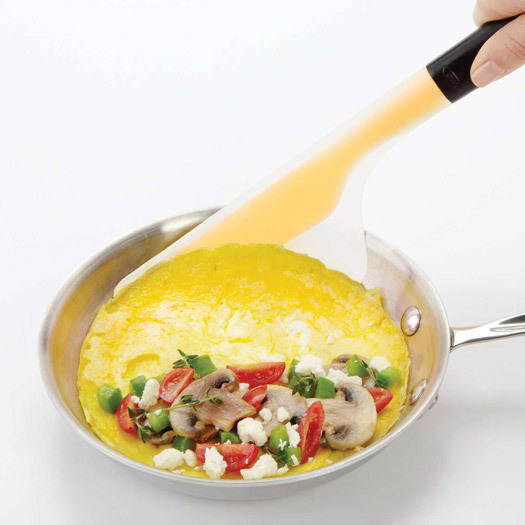 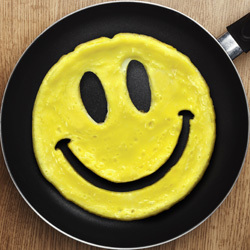 The wide shape and soft, comfortable handle provide structure and control to flip or fold omelets while keeping them intact. 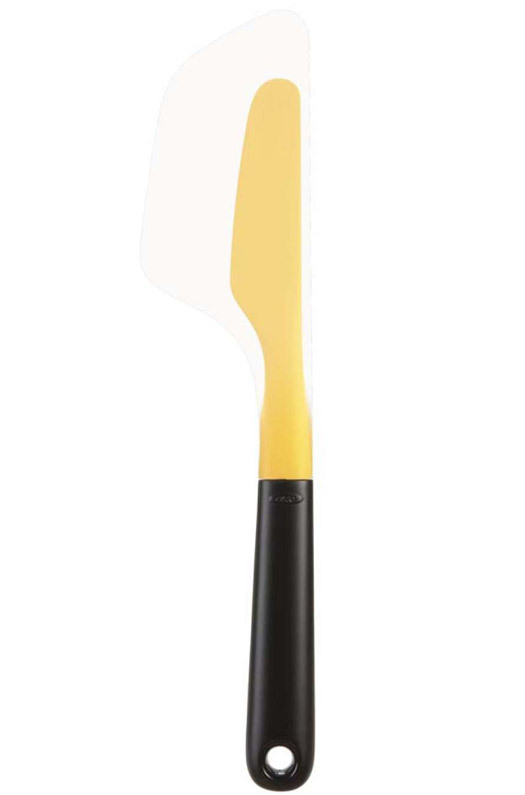 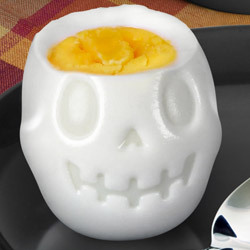 The silicone head is heat resistant up to 600F, safe for non-stick cookware and dishwasher safe. 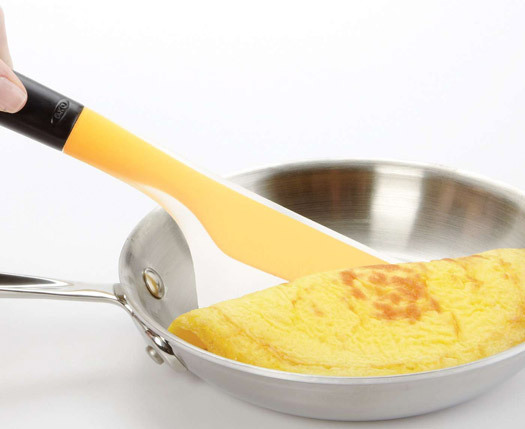 The Omelet Turner is also great for making quesadillas, crepes and more!